Experienced techie Raghu Narayanaswamy lost his job recently and fears he may not get another, as analysts warn of massive layoffs across the country’s multi-billion-dollar information technology sector. Business papers and analysts have reported that major IT firms are gradually laying off thousands of staff while research has claimed that hundreds of thousands of jobs could disappear in the next four years, although the companies themselves have refused to comment on numbers. Narayanaswamy was caught up in the turmoil in March when he was let go from one of India’s top IT companies after 11 years of service. He says his future prospects appear bleak. “I have been finding it extremely difficult to find a job these past few months,” the 40-year-old, who is based in Mumbai, told news agency AFP. 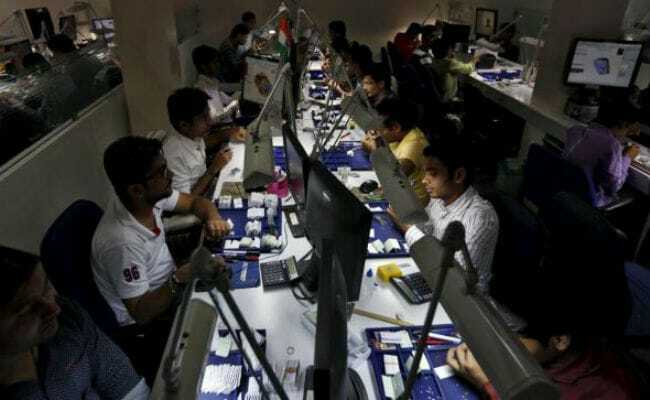 India’s IT sector boomed for more than two decades as Western companies subcontracted work to firms like Infosys, Wipro and Tech Mahindra, taking advantage of their skilled English-speaking workforce. While Nasscom is bullish about the future for India’s tech titans, HfS Research, a US-based business advisory firm, estimates automation could mean a 14 per cent decline in India’s IT workforce with 480,000 jobs at risk by 2021. That’s a worrying prospect for the hundreds of thousands of aspiring engineers at India’s IT colleges. Although layoffs are not uncommon in the industry, particularly in the final quarter of the financial year, union chiefs say staffs are being made redundant in unprecedented numbers this year as firms deal with narrowing profits. India’s top IT companies have been complaining for a while about the difficulty of picking up new clients as businesses explore automation, robotics and innovative technologies such as cloud computing. So analysts say it should come as little surprise if some are now streamlining operations. “These changes pertaining to mass layoffs and downsizing have been due for some time and the current chain of events globally have accelerated them,” said D.D. Mishra at technology research company Gartner. Nasscom this month dismissed widespread reports, including in respected Indian newspapers like The Economic Times, Mint and Business Standard, of thousands of layoffs but conceded that the rate of hiring was slowing. It predicted that up to three million new IT positions would be added by 2025 but warned that the industry must reinvent itself to help companies keep up with demand for more innovative technologies. Kris Lakshmikanth, chairman of Bangalore-based recruitment firm The Headhunters, told AFP the task is huge with around 60 per cent of India’s four million techies needing to be retrained. Wipro and Tech Mahindra told AFP that they have retraining programmes but refused to comment on the number of layoffs, saying it was standard practice for employees to lose their jobs if they failed to meet expectations. Analysts are already pessimistic about the potential effect of Trump’s curbs on H-1B visas, which India’s IT sector uses to send thousands of highly skilled engineers to America every year. “There is a big tsunami that will affect between 150,000 and 200,000 Indian IT professionals and will continue for a long time until the industry stabilises,” Lakshmikanth said of the challenges facing the sector.